Writing blog posts isn’t always easy. You get stuck, frustrated, and sometimes just plain want to give up. I started writing online in 2006. At the time, I was sweating with fear, because I was afraid of what people would think and if I truly had what it took to succeed. I wanted to educate, entertain, and inspire, through my words. Looking back, I can see that whenever I’ve had the desire to do something, the means have been there. But this post is all about the mistakes I’ve made on my way to building a 10,000+ subscriber blog. This is what I would’ve told the Henri from the past if I could step into a time machine and drink a smoothie with him. Don’t try to write well. When you try to write well, you compare your writing to something or someone else. It makes you lose touch with what you feel inspired to share. While you may not be the best writer in the world, you still have something to share. Your success will be determined by how much you love what you do, and how willing you are to express your inspiration, no matter what your fears or excuses are. I still compare myself to other people, but not as much. I’ve gotten feedback over the years from my readers, so I know that my writing is good enough as it is. But you don’t need to wait for that feedback. I’ll tell you right now: If you feel inspired to write about something, it means there’s someone on the receiving end asking for it. It’s your job to share it. As you write more and do your best, you’ll become better. No need for all the anguish that comparison brings. There are fantastic writers out there. They write oodles of books and regularly contribute to the biggest magazines in the world. But it doesn’t have anything to do with you, unless you focus on it. It doesn’t matter if you believe you’re a talented writer (blogger) or not. What matters is that you want to write. You’re on this planet to enjoy yourself. You’re here to explore your desire and what you want to do. You’re here to follow your bliss. Don’t make the mistake of saying that you’re not talented. Don’t make excuses for why you can’t inspire people through your blog posts. It will end up eating you from the inside. Mistake #3: Story? Where? What? The more relevant stories you share, the more captivating your blog posts will be. Avoid blogging about a topic that you think will make you money but in which you don’t have any personal stories to tell. In other words, keep money in mind, but don’t make it your #1 priority. You are the person you are for a reason. Your job is to be yourself and enjoy life. That’s it. For example, I do my best here on Wake Up Cloud to share my story. But not just any story. I look at what problems you bump into, and I share stories where I’ve come up against similar challenges. What makes my stories inspirational is that I include how I solved and overcame those challenges. It helps you see that you can do this too. Yes you will, but that’s a good thing. You don’t want the whole world to read your blog, you want the right people. When I began writing, I didn’t have a writing process. I would open up a blank document and stare at it. That was my process. Now, things have changed. This is what I’ve found to work for me. 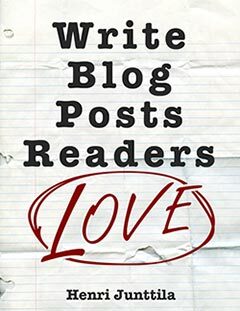 I go into more depth into my writing process and how I write blog posts in my book, Write Blog Posts Readers Love: A Step-By-Step Guide. The more structure I have in my writing, the freer I feel, because I don’t have to focus on what order I’m going to do things or how I’m going to do them. I can focus on writing. Stop trying to eliminate blogger’s (or writer’s) block. Befriend it. Learn to channel what you’re feeling into your writing. If I can, I don’t write at all if I don’t feel like it. Most of the time, I don’t keep myself to a rigid blogging schedule. I used to, but not anymore, because it doesn’t really matter if it makes you miserable. Obviously, if you stop blogging for months on end, it will have an impact, but if you skip one post here and there, the world won’t end. For a long time, I followed rules to a tee because I thought they’d make me more successful, but what I’ve since realized is that success doesn’t come from following steps, it comes from listening to my inspiration. So when you don’t feel like writing, give yourself a break. Let yourself off the hook. When I do this, I often find myself writing anyway. You are not here to please everyone. You don’t have to please every single person that stumbles on your blog to build a thriving audience. You have to please yourself. You have to have fun. And you have to write for your ideal reader or ideal customer. When I first began blogging, I had no idea who I was writing for. I just wrote. And that’s fine. But if you can, try to focus on one person. It could be someone you know, a past version of yourself, or even a reader. It’ll help keep writer’s block at bay and make writing that much easier. There is no right or wrong way. You make things up as you move along. When you bump into challenges, you create solutions. Stop trying to think what other people will think, and focus on how you feel. Are you happy? Are you following your inspiration? If so, then nothing else matters, because you’re already doing your best. If someone criticizes you, it has nothing to do with you, and everything to do with how they feel. It’s not up to you to please people. It’s up to you to be you. Stop trying to do things to become happy and be happy. Most people get this backwards. Life is not about manipulating external circumstances so you can be happy. It’s about being happy and living life from that place. Blog because you feel like blogging. Beware of killing your joy for blogging by letting fears and worries take over. It’s counter-intuitive, but when you don’t take your blog so seriously, you’re more likely to succeed. And you’ll have more fun in the process. This post ended up being more about core principles than any specific blogging techniques, and that’s what I enjoy writing about. When you get the fundamentals right, everything else falls into place. It won’t happen right away, but that’s okay. You’ll never get things perfect, and this journey will never end, so enjoy the ride. If you’ve read this far, you have something inside of you nudging you forward. Follow your inspiration, excitement, and passion, because it’ll lead you to more of the same. Anyone who tells you to otherwise doesn’t know what they’re talking about. Before you listen to advice from anyone, look at their life. Do you want to live the way they do? Are they happy? If not, move on. Always listen to your inspiration. Are you ready to learn to write in a way that attracts the right audience to you? I’ve written another glorious book, and it’s out this Thursday now. 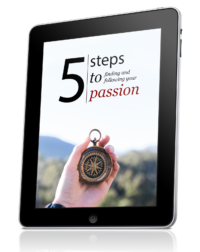 The book is all about writing blog posts readers love. In other words, it’s about the techniques and tricks I use to write blog posts that inspire, educate, and entertain. This is about getting what you want while bursting with joy during the journey. Why else would you do it? 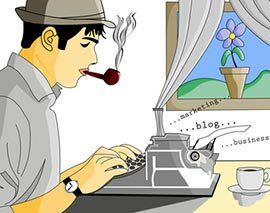 There’s no need to writhe in agony as you blog. This is fun. This is exhilarating. This is exciting. Will you join me in the journey? I hope so. That’s a great line and very true. It’s important to remember writing takes time and practise. I ENJOY if more than anything and hopefully one day others will enjoy reading my words too. I wish I can think the way you write and have your courage. I have 40 years of working experience and 35 alone in one company. I retired in May and wanted to share my experience through a blog. Hot and cold all the time from fear of public opinion. It’s as if you are scolding me through your post. The journey happens one step at a time, so hot and cold is to be expected. There comes a point in our lives when we have to ask: Is how I feel and what I want to do more important than what others think? Easier said than done? Of course. This is a great post! Sometimes I get discouraged but this was just what I needed today 🙂 I need to keep all of it in mind – especially about not pleasing everyone and making sure I’m having fun! I should probably start sleeping on posts, because sometimes I find myself half rewriting posts that I have already published when I come back to them a day or two later. I am bad at starting with headlines though.. I’ll start with a general title, and then after I’m finished I’ll try to find a title that is equal parts captivating, and actually describing the content in the post.. although usually I fail miserably, haha. Thank you my friend for making it sound so enjoyable and effortless…and fun. Wanted to ask has anybody else written to you about not being able to access your amazingly generous limited time ‘free book’ offers …I live in the U.K and have tried unsuccessfully to access your last 2 books offers through Amazon U.K. Any advice gratefully received. What a great post. I could have done with this a year or so ago when I started my own blogging journey. Sometimes we get in our own way more than others do. 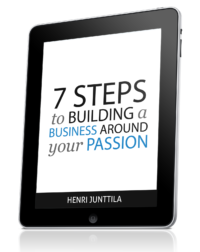 Keep up the great work Henri and I am looking forward to reading the new book. It’s really a great post. Quite inspiring. And you know what that deeply touching soul feeling means, don’t you? It means that it has deep relevance for you and that you should act on whatever it inspires. Thanks Ana! I’ve bookmarked this post Henri – immensely helpful. I stopped myself from stressing about ‘needing’ to write every week and let it go. As you say, if it becomes a pressure and you’re not enjoying it then leave it for a while. I love it though when I do get inspired to write, and I get feedback and people comment about how whatever I wrote resonated with them – as you say, you write what people need to hear and it’s amazing sometimes! Thanks Sandra! Glad you found the post useful. You’re right on. It’s funny though, because once you let go of the “I have to write,” you often write more naturally, because you -want- to do it. We can be our own worst enemies at times, can’t we? I’ve certainly related to many of these mistakes at one time or another. I think #1 especially hits home for a lot of folks. We try too hard. I know I’m guilty of that. Never let yourself think that it’s about how well you write because that will get better the more you write, but it’s really about what you have to share. It’s always good to remember too that if you have something to share it is your job to share it. When you share your experiences with other people you help take away their fears. It’s selfish to keep what you know to yourself. Share your ideas, your inspiration and allow others to benefit from what you know. One of the things I have found most important which you mention on point #5 is to write only when inspired. It makes such a big difference! Even if I think I would write less that way, I think it turns out the opposite in the long run as I really enjoy the writing process and the content is much higher quality too. When forcing oneself to write, the content suffers and in the long run you build great resistance. Thank you Henri for all the good points! Mh you really touched core things in terms of writing here hey, especially enjoying and sharing the journey. I have recently opened a blog as well as I’m looking at sharing my inspiration and experiences in this journey of life, but it’s not as easy especially in the beginning but with such inspiration I have to soldier on. I used my daily diary to come up with ideas for posts and to write my rough drafts. I definitely agree with not comparing your writing to others. This is the best way to lose your style and originality. That was a powerful message. I appreciate that.